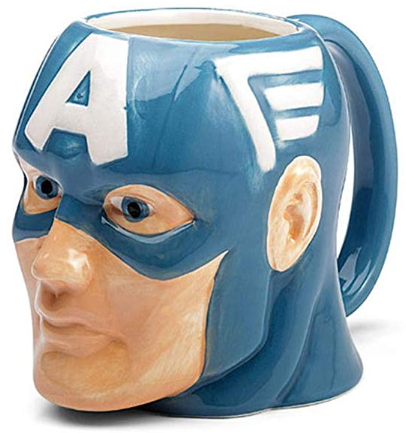 The hype after the MARVEL ‘Avenger: End Game” trailer is still thick in the air, which means that this mug is perfect for your little nephew. The product can hold both cold and hot beverages; making it perfect for every season! it can hold up to 16 ounces of beverages! Perfect for a cup of hot chocolate or even just plain water. It is hand painted, with extraordinary detail. The product has a Marvel Official License. Many children love Captain America, so you can be sure that they will love this gift!